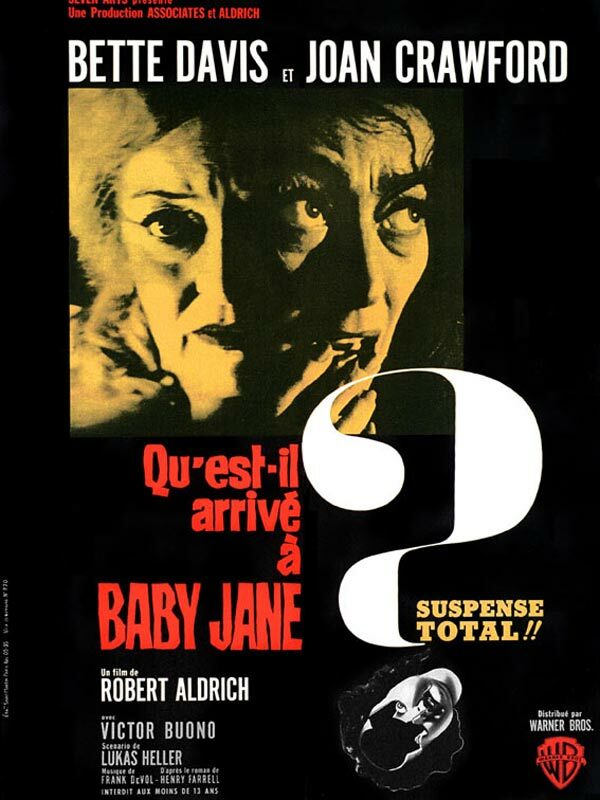 Home » Film » WHAT EVER HAPPENED TO BABY JANE ? In the 1920s, Baby was a child prodigy of silent cinema, while his sister Blanche remained discreet. Ten years later, the roles are reversed, Blanche becomes a big star while her sister is forgotten. By bringing together Bette Davis and Joan Crawford in the same film, Robert Aldrich staged a rivalry known to the general public between the two legendary Hollywood actresses.